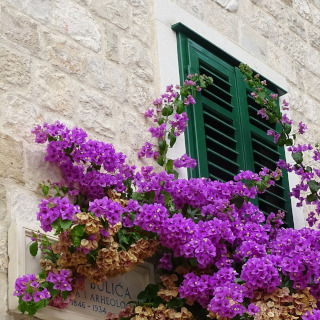 Explore the city of Split with those who are in love with it! This tour includes secrets, curiosities and a lot of history. 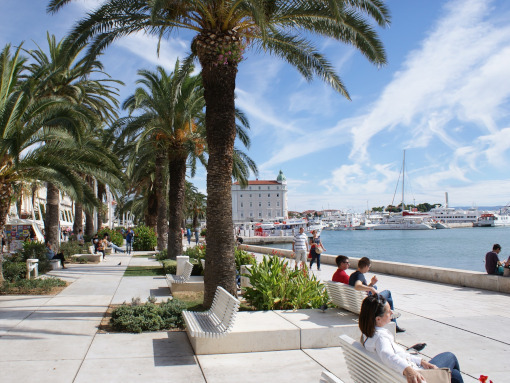 We will walk from Riva, the main promenade, through the Golden and Silver Gates, the ancient entrances to the Diocletian Palace. The palace itself contains countless houses, details and monuments. 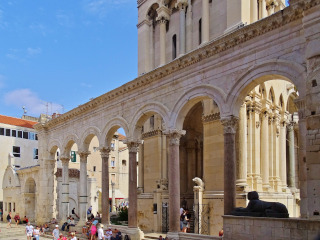 We will observe the magnificent construction of the Cathedral of St Domnius, the impressive Vestibule, and the Peristyle. The ancient square is very unique, it even has a sphinx about 3,500 years old, that was brought here by Diocletian himself to decorate the residence. If we are lucky enough, we’ll be able to attend the Klapa concert in the Vestibule. This national musical style was listed as Intangible Cultural Patrimony of the Humanity by UNESCO. 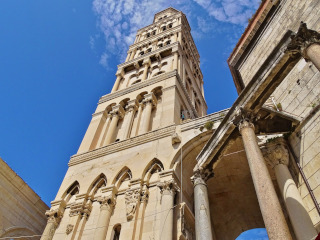 At the end of the tour, we recommend visiting the Underground Palace or climbing the tower of St Domnius.